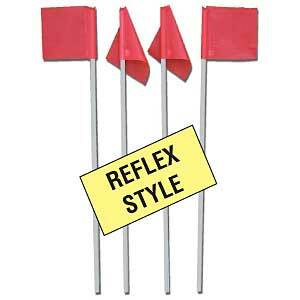 2 Piece 60" overall length Reflex SmartPole flag post stands tall in wind but bends & flexes on contact with ball or players. Great addition to the MarkSmart Field Lining Sets! 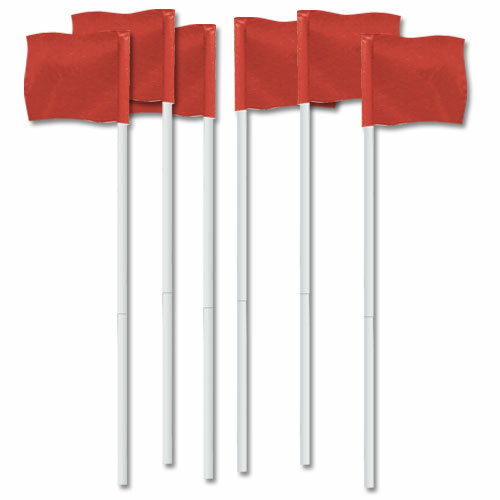 Comes in a set of 4 Reflex Soccer flags with 60" post (2 ea. 30" sections combine with connector to create the post). .